An End-Time Apostolic/Prohetic Minisry with a Mandate to Perfect the Saints for the Work of GOD'S Ministry! Apostle Ja'net L. Reid-Jones, Apostle Ronald D. Jones, Sr.
into HIS wonderful light . " "PERFECTING THE SAINTS OUTREACH MINISTRY"
We want to share your burden, we care about you and have compassion for your situation. 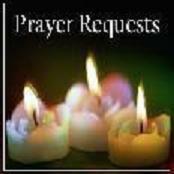 We will take your request before the Throne of God and pray for and with you. When you pray remember to tell God the things that you are thankful for, this will take you into His presence where you can experience His peace. "Royal Priesthood" Ministries, Int'l is an Incorporated Non-Profit in the State of Delaware, USA.